This quote is hanging in my office. I love the sentiment. The idea that each person learns differently and has unique potential is spot on in my opinion. Most of the time, when you see this quote, it is attributed to Einstein. Probably FALSE. The most likely source for this quote is actually an unknown author who wrote in the late 1800’s under the pen name Aesop Jr.
“Finding quotes on the internet is only slightly easier than making them up.” – Abraham Lincoln. Do you ever feel stupid? Do you feel smart? What is the litmus test for determining the education level of a person? One of my favorite movies is “Goodwill Hunting”. In this movie, a juvenile delinquent, who reads profusely, solves what was known as the unsolvable equation. His education was self-taught. He had a job as a janitor, but he was more proficient than many of the full-time students. Why? Because he invested himself in personal education. I know many people who think they are smart but are very ignorant. I know others who feel stupid but are actually brilliant. Some people are naturally gifted one way or another to have perspective on certain topics, but in others, they are deficient. I once knew a genius who graduated high school as a freshman but couldn’t find his next class in a one-hall school. Intelligence is subjective to the matter being discussed. So, all that discussion on education…how do you feel about your intelligence regarding our response to God and His word, the Bible? Many people are truly ignorant of the Bible, but it is because they have never read it. Some people think they are knowledgeable of the Bible because they know what they’ve been taught for years, but they, too, never read it; they already know what’s in there. Some people read the Bible profusely, scrutinizing every word, but they, too, are ignorant of the Bible’s purpose. It is possible to do this today. It is not uncommon for people to get so caught up in how we are to do church and what doctrines are false or correct that we miss having a real relationship with Jesus. We spend time in the Bible to be able to answer questions and make arguments, not to fall in love with the author. We pray to ask God for stuff and intervention instead of just wanting to be in His presence. We fast to seek God’s….oh, wait. No, we don’t fast anymore. We all want to feel smart about God and the Bible, but if we don’t know the author, then the intelligence we gain through reading words on a page is useless. Knowledge puffs up, and many people in the church are balloons. No wonder they pop at the slightest things that don’t fit their pre-conceived theology. When our foundation is merely knowledge, then things that challenge that knowledge challenge us. When relationship is our foundation, then there is little that can shake us from that foundation (Romans 8:35). Let us all focus on growing in our love for Jesus and our knowledge of His love for us. May we see the scriptures as a map showing us God’s love and confirming our relationship with Him. And may we find security in this relationship that cannot be shaken when someone comes with a different argument that has no bearing on our relationship with the Father. I love the mountains. 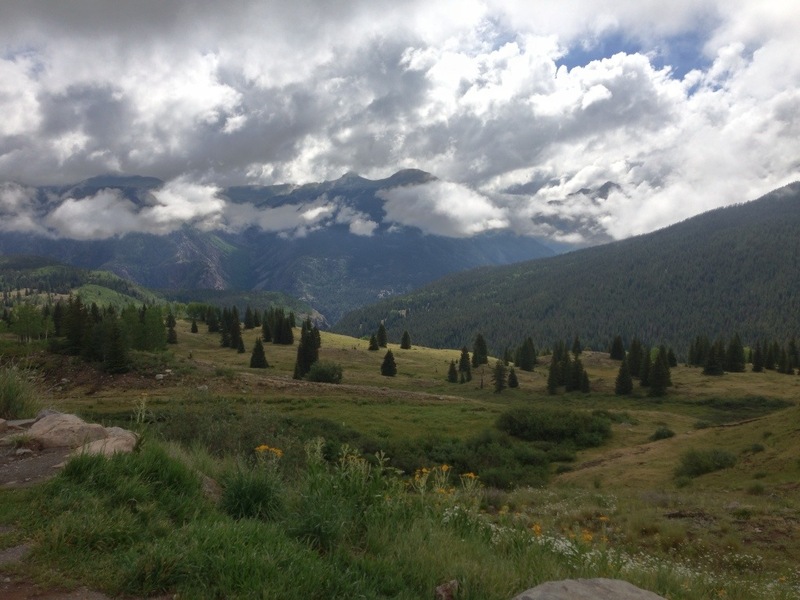 This summer I have spent many days hiking and climbing and exploring the countryside around Durango, Silverton, and Ouray Colorado. The mountains there are magnificent and filled with rich history. There is quite a diversity of wildlife there as well. I’ve seen marmots, pika, many chipmunks, mule deer, elk, and even a bear. In the mountains I find myself. My spirit comes alive in the majesty of the mountainous terrain. I can actually feel myself more alive when at elevations above 10,000 ft. I love the mountains. I think Jesus loved the mountains too. Now when he saw the crowds, he went up on a mountainside and sat down. After he had dismissed them, he went up on a mountainside by himself to pray. Jesus left there and went along the Sea of Galilee. Then he went up on a mountainside and sat down. Can you imagine how Jesus must have felt to be in the mountains He created? I especially like the massage in Matthew 14. Why was He up there? To pray. Where do you pray? Jesus prayed on the mountain. I’m pretty sure he prayed in the valley and everywhere in between. When I’m on the mountain I sense the presence of God with every shortened breath. I pray a lot in the mountains. But if that is the only place I pray, then my prayer life is weak at best. When do you pray? Jesus prayed in the morning before the disciples woke up. One night he stayed up all night praying. He prayed all kinds of times in between. Do you pray often? Is this something you do as an aside, or do you really make a time for prayer in your life? Mountains are great, but as you look at the mountains (or at pictures of the mountains – for you flat landers) remember that God has called you to pray to him “without ceasing”. It is only thorough constant prayer that we can have an intimate relationship with our Creator. That’s what Jesus knew, and He tried to teach that to us by modeling it in His life. Prayer is vital to the Christian’s life. May you be a person who prays on the mountaintop, in the valley, and everywhere in between. And may you pray without ceasing in order to have the relationship with God that Jesus died for you to have. About a month ago I got a pretty serious infection in my foot. I had been in some nasty water and then got an ant bite. When I scratched it, infection set in and swelled my foot right up. I got to where I could feel the pain from the infection all the way up my leg and down the other leg before I got treatment. It was painful to walk. I mean REALLY painful. Then, one day the infection came out, and oh the relief! I have never been so grateful to be able to walk in my entire life. Walking had been so difficult, and now it was easy. I actually thanked God for the ability to walk. A few weeks ago my truck stopped working. It had been having some trouble, but it finally got to where it just wouldn’t start. I am a very mobile person with a lot to do, so this was difficult for me. I tried to ride my bike, and one day I set off to run some errands around town on my bicycle. About two-thirds of the way to my first destination my pedal came right off. The threading had stripped. I was too far away from the house to go back home right away, so I just did the errands on foot – pushing my bicycle along. It was frustrating. I really wished I didn’t have to walk. You ever feel this way? One day something is a blessing and the next day it is a curse. Maybe it is a job or a house or a car or even a relationship. Why is the grass always greener on the other side? Why are we so fickle? Why can’t we just be content with what we have? We want what we do not have and do not want what we do have because satan is a liar and we buy into his lies. God has placed you in that house or job or relationship to glorify Him. How can you do that if you are always worried about how horrible your situation is or how much better it would be if this or that was different. Husbands and wives, how can you glorify God in your relationship if you are always wishing your spouse was different rather than celebrating who God made them to be? Are you content with what you have? If you’re always complaining about it or wishing it was different then you aren’t. Contentment comes from know that it is God who provides, and you are under His care. Contentment is trust in your Heavenly Father to take care of you and to have provided what is best for you. Do you trust God? Show it by being content with your life, job, house, car, income, and especially your spouse. Then you will be able to glorify Him for His innumerable blessings. Have you ever heard of the show “Duck Dynasty”? It comes on Wednesday nights on A&E, and, in my opinion, it is one of the best shows on television right now. The show is a reality tv kind of show that follows the exploits of a redneck family that has turned millionaires as they mass produce duck calls and duck hunting videos. They are hilarious as their different personalities allow for copious fiascos. The thing I love most about the show? I know all those people. The Robertson family has been a part of my life since I was a little boy. I grew up in the church where Phil is an elder. Their oldest son, Alan, was the associate minister there when I was younger and has served as one of the pulpit ministers for the last several years. Jase taught a small group in his home on Revelation that I attended as a teen. 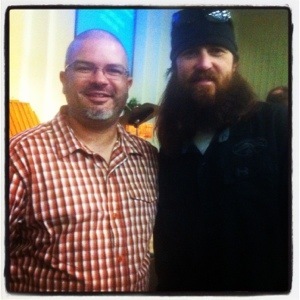 Willie worked with the camp I grew up attending each year, and Jep and I went to school and were in youth group together. I even worked for Duck Commander for a season. Each day I would package duck calls and answer the phone, and for lunch Mrs. Kay would fix a huge spread for everyone who worked there. It was delicious, and I gained most of my excess weight working for them. The thing that was most impactful to me working there was visiting with Phil about the importance of the Kingdom of God in the life of each of us. He taught me how the Kingdom is central to the message of Jesus. He also showed me what courageous, bold evangelism looked like. I saw several people show up and sit in his living room (this is before they had the warehouse) to meet the Duck Commander. If they were there longer than ten minutes he was sharing the saving message of Jesus with them. I was inspired. I love telling people that I know the Robertsons. I love to see the look on their faces when I tell them stories about before they were television stars. Ok, I’ll admit it. I also love the recognition it brings me to be associated with them. Knowing the Robertsons is cool, but I don’t think I need to find my definition by my association with them. I know them, and I am proud to tell you I know them, but there is someone else I need to know more. There is someone else I need to be even more excited to tell you about. In 2 Thessalonians 1, Paul describes two attributes of people who would not be separated from God eternally. The second attribute is a person who obeys the gospel. The best way I can see of obeying the act of the gospel – the death, burial, and resurrection of Jesus (1 Corinthians 15:1-4) – is to re-enact that gospel (Romans 6:1-4). Obeying the gospel is rather simple. The other attribute of a person who won’t be shut out from the presence of God is that they “know God”. Do you know God? Many people claim to know God, but you could never tell it by their life. You never hear his name on their lips except as an explicative. And please don’t lie to yourself. “Oh my God” is not a prayer when you say it after you kick your toe or see the coolest shirt ever or get unexpectedly rained on. We are called to know God. That relationship should be the defining relationship of our lives. It should consume us to the point that everyone who comes in contact with us finds out about our relationship with God. When that happens, then we will be excited to tell others how they, too, can have that kind of relationship with Him. This is not an oppressive relationship with God ruling us with an iron fist. It is a loving relationship where I fail to keep my covenant to Him daily, and He daily forgives me and gives me more and more chances because of His grace and mercy. He doesn’t love us “if”. He loves us unconditionally. He wants relationship with you so badly that He came in the form of Jesus to live a perfect life in your place and die a cruel death in your place, so that in spite of your continual sin you can have relationship with Him. That’s love. I’m excited to know the Robertsons, but I’m even more excited to know Jesus. I’m excited to know God. And I’m excited to tell you about Him. Do you have that kind of relationship with God? Are you unashamed to know Him, or do you shrink back when someone accuses you of being His follower? Do you profess Him in name only, or do you walk with Him each day in prayer, meditation, and searching through His word? If all who professed to be Christians were truly in relationship with God the world would be a much different place. Lets get to know God. If you’d like to know more about having this relationship as the redeeming point of your life, then please contact me at mrjdobbs@gmail.com or through my blog at http://www.mrdobbs.org. God bless you as you walk with Him each day! Duck Dynasty, Jesus, and Knowing God. Lets get to know God. If you’d like to know more about having this relationship as the redeeming point of your life, then please contact me at jddobbs@verizon.net or through my blog at http://www.mrdobbs.org. When I was growing up my mother had this saying that really annoyed me: If if’s and but’s were candy and nuts we’d all have a merry Christmas. Back then I kind of understood it, but now I have a great appreciation for this saying. Are you the kind of person who says, from time to time, “if only…”? What good does that do? When I was younger this was a popular habit of mine. 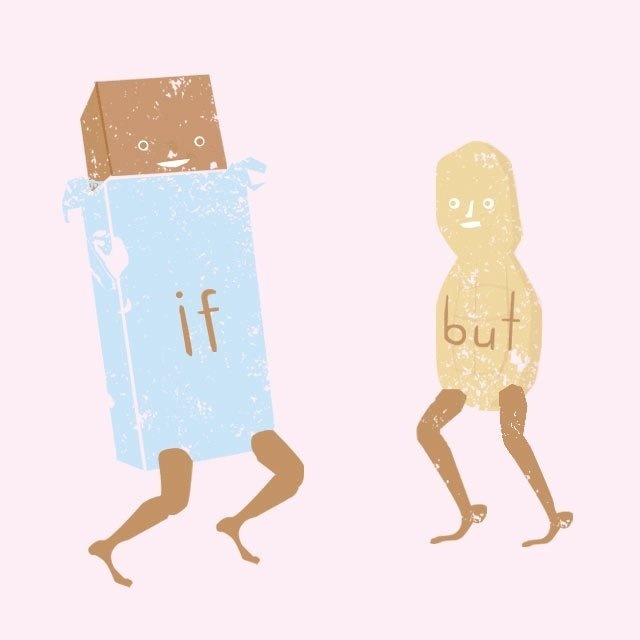 I would beat myself up with the what if’s and tear myself down with the if only’s. These did me no good. They only made me feel worse. So what about you? Do you have a past relationship that you’ve often wondered about? If only… Have you lost a job you loved, and you wonder “what if…”? I find that when I have the mindset that regrets things not done that could have been then I am a miserable soul indeed. I even begin to go into conversations worried about having the right words or doing the right things to make everything go smoothly. I want the best from each moment of life, but the more I struggle to try to make each moment the best myself the more frustrated I am with the minute details of the moment that didn’t go right. I am a big fan of the movie “The Matrix”, and I have seen all three of them multiple times. I’m not as big a fan of the second and third installments, but in the second movie there is a scene in which the trio that is out to save the world has a conversation that doesn’t go as they expected. One of them begins to complain about the situation when the character that is more prophet-like stops her and reminds her that it couldn’t have happened any other way, but there must be a reason for it to be that way. When I saw this it reminded me of what Jesus said in Matthew 6. “Do not worry.” If I remember that God is always in control, then I can have much more peace in each situation. God has promised us to turn every situation out for the good of those who love God (Romans 8:28). If I trust in that promise then I know that as long as I have surrendered my life to Him then whatever I put my hand to will turn out the way it was intended. If I have prayed over a situation or conversation before I meet, then I can have peace that God will direct my words and actions. Even when I feel like things didn’t go as well as expected, I can trust that God used whatever was said or done to enhance the situation of all involved. What this does is grant much more freedom. I no longer have to worry about how things are going to go. I don’t have to have regrets from the past. The things that happened happened and the things that will happen will happen. I am not in control. God is! This also has great implications on whether or not I share the message of Jesus with others. When I am worried what they will think or whether or not I will have the right words, then I hesitate and often do not do the things which are necessary for their salvation. But when I surrender myself to God and His will, then it doesn’t matter whether or not I have the right worlds. All that matters is that I love the other person and try. God will give the blessing. It is my prayer that you can be freed from a life of regret. May you stop saying the “what ifs” and the “if onlys”. May your life be fuller because of a lack of worry, and may you trust that God will certainly turn every situation out for your good. If there is anything I can do for you or pray with you about, feel free to contact me at 245-1611 or via email at jddobbs@verizon.net. God bless you as you live in His freedom!